A Detach Behavior (beDetach) is a Behavior which can be used to detach or to attach a bone or a bone chain on an Entity. 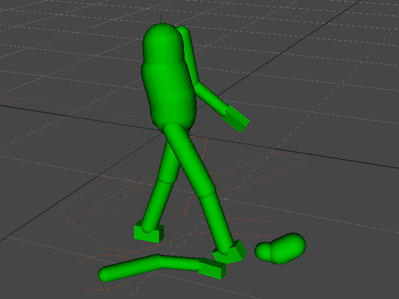 To use a Detach Behavior on a bone, that bone should be physicalized in the Character File and the physics mode of the bone should have been switched to Dynamic Rigid Body with a Physicalize Behavior. A Detach Behavior defines the following specific attributes. For common attributes see Behavior Common Attributes. Detach (default mode): In this mode the Detach Behavior will detach specified Bones. Attach: In this mode the Detach Behavior will attach specified Bones. Bone Names Name of the bones which will be detached or attached. Separate the Names with , or use * for all. Those bones should be physicalized in the Character File and the physics mode of the bone should have been switched to Dynamic Rigid Body with a Physicalize Behavior.